On November 14, 2018, Shire was honored with the 2018 SEAL Environmental Initiative Award for its leadership and commitment to sustainable business practices. The SEAL (Sustainability, Environmental Achievement & Leadership) Awards celebrate companies that embrace ethical responsibility to drive environmental leadership and change. The 2018 Award specifically recognized companies for their environmental impact, innovation, investment, and insight. 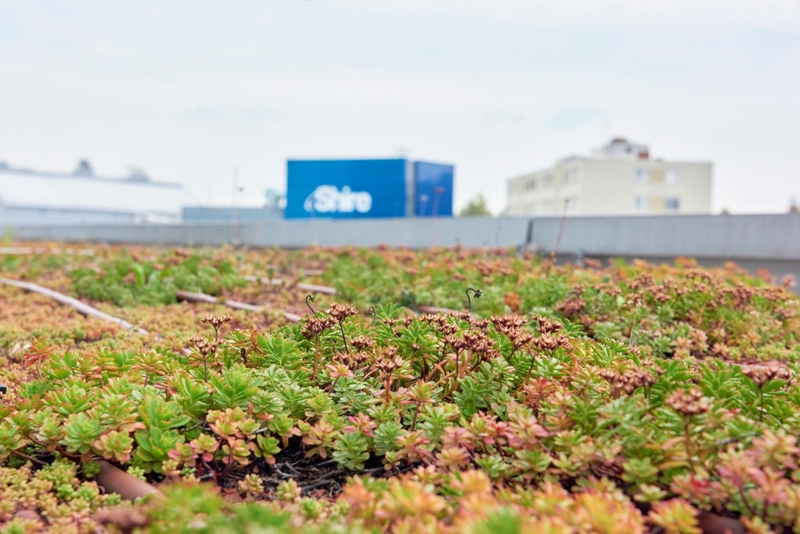 Environmental sustainability is a core aspect of Shire’s broader Responsibility strategy. As the global biotechnology leader serving patients with rare diseases and specialized conditions, we believe there’s a clear relationship between operating sustainably at a time of significant environmental and social change and being a responsible, global leader in developing breakthrough therapies. The 2018 Award recognized Shire for its development of a strong energy and climate program. To demonstrate its commitment to reducing its impact on climate change, Shire has committed to setting science-based climate change goals through the Science Based Targets Initiative. These goals are supported by several key programs across Shire. For example, our Global Energy Program works to achieve continual improvement in energy conservation, reduce associated greenhouse gas (GHG) emissions, increase the use of renewable energy, and lower utility expenses and related costs at our manufacturing facilities. All of Shire’s manufacturing sites have developed local sustainability teams and long-range sustainability plans to identify climate initiatives. Additionally, we have improved our Scope 3 GHG data collection by surveying 77% of strategic suppliers to determine their approach to combating climate change. Focusing on environmental challenges, such as climate change and the consumption of natural resources, not only helps protect our environment and our communities for future generations, but also improves our long-term business performance. We thank all our team members across Shire who contributed to these efforts and helped Shire achieve this industry recognition. To learn more about our environmental initiatives, please visit Shire’s Annual Responsibility Review at www.shire.com/who-we-are/responsibility. For the full list of award winners, please visit: https://sealawards.com/sustainability-award-2018. To learn more about the SEAL Awards, please visit: https://sealawards.com. To learn more about Shire’s Responsibility commitments and goals, please visit Shire’s Annual Responsibility Review at www.shire.com/who-we-are/responsibility or view its latest video on Responsibility.